This summer I spent 56 days with the J Robinson Intensive Wrestling Camp, a program run by the University of Minnesota’s head wrestling coach, J Robinson. The program is currently in its 38th year of punishing workouts, 4-a-day practices, early morning rises, and copious injuries; in other words, a hard day’s work for any athletic trainer. That’s not to say that all of the difficulties of the camp do not present any benefits. Over the duration of the camp, the J Robinson Wrestling Camp has exposed me to a wealth of opportunities from which to learn. With 175-300 teen wrestlers at each camp, there is a good deal of ailments to see, and most of them are skin. I’ve seen cellulitis, folliculitis, more ringworm than I could ever count, and even more cases of impetigo. These were infections that I had rarely seen in my previous clinical sites, and now I can identify them in a heartbeat. While an important bit of knowledge to have, I am hoping that I don’t have to worry about skin as regularly, going into the future. Mike Griffith (far left) with the rest of the AT staff at the camp. Just as common as the infections at camp are the illnesses and injuries. The first two days of camp at Minneapolis had more cases of cramps and heat exhaustion than I had ever seen in my previous two semesters. For this very reason, the camp had fairly rigorous hydration policies. Athletes were not allowed to lose more than 1.5% of their initial weight for the duration of camp, under threat of sitting out for 24 hours. Furthermore, there were the injuries. At J Rob I saw sprains, strains, tears, subluxations, fractures, acute or chronic injuries, and the day-to-day overuse injuries. The greatest experience actually happened my last week, where I was able to stabilize the head of an athlete with a suspected cervical spine injury, and I was then able to call the shots throughout the transportation of the athlete from the ground to the spine board. Thankfully the athlete was fine, and it was all precautionary, but it proved to be a great environment with which to practice possibly one of the most important critical care techniques in a live setting. The J Robinson Intensive Wrestling Camp definitely lived up to its title as an intensive camp. 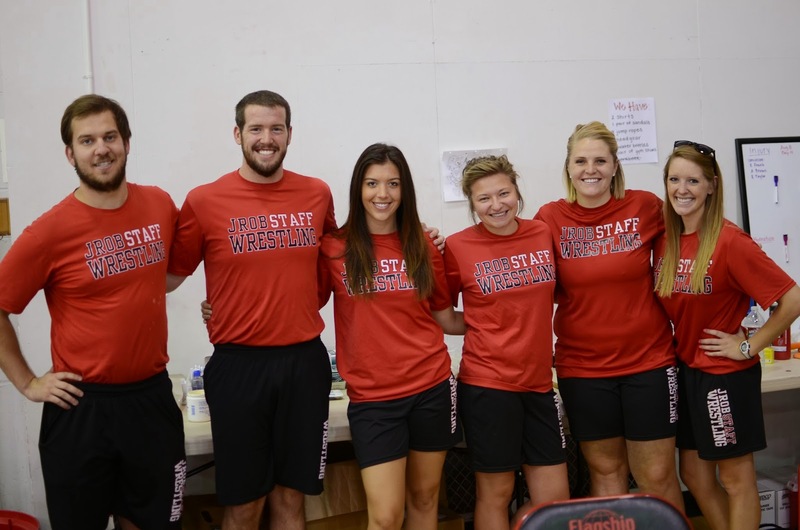 It was as much a boot camp for Athletic Training as it was for wrestling, thanks in part to the oftentimes 100+ ailments that needed to be treated daily. 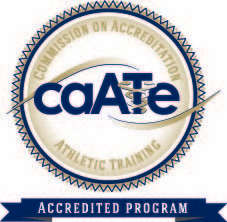 Thanks to the camp, I was forced to confront some of the weaker points in my development as an Athletic Trainer, and make them stronger. I had to adapt to a changing environment, work long hours, and get enough rest so I could repeat the process the next day. As difficult as it all was, I’m very happy with my experience and the amount I have advanced as an athletic trainer thanks in part to J Rob.